Is the Environmental Consulting Industry Ready for Freemium and Pay-As-You-Go Software? Until recently, the environmental consulting industry—like so many other professional services industries—has deployed software solutions for managing various aspects of its business according to the traditional licensed software model. These software deployments could be characterized by their high upfront costs and risk to customers, deployment complexity, and corporate-level purchasing process. Once purchased, these solutions were added to company overhead, thus making it more difficult to quantify the value that they brought to a process that up until then had been conducted manually or with not fit-for-purpose tools. Organizational units continued to carry the cost of these solutions in their overhead regardless of whether or not the solution was deployed on a given project, the core unit of work in the industry. With the advent of cloud computing, all of that is changing as new solutions for industry-specific processes are being developed and offered in a format that breaks with the traditional software deployment model. These solutions are characterized by their no/low upfront cost and risk to customers, deployment simplicity, and project-level purchasing process. Since the use of these solutions is billed as a project-level expense (free or pay-as-you-go), it becomes much easier to quantify the value that they bring to a process. Project Managers are empowered to calculate the cost-benefit of deploying these solutions on a project-by-project basis and to deploy them on only those projects where a benefit is anticipated. The demand for pay-as-you-go (unit-priced) environmental data deliverables is not something new. As early as the 1990s, petroleum companies began purchasing environmental consulting services for their retail petroleum sites on a unit-priced basis. This included unit prices for tables, maps, and figures. In the 20-year time period since then, environmental assessment and remediation project reports continue to be assembled with these components, but due to the market prices for these components, it has generally been more cost effective—on a total cost of ownership basis—to produce them manually using not fit-for-purpose tools than to produce them by licensed, specialty software. 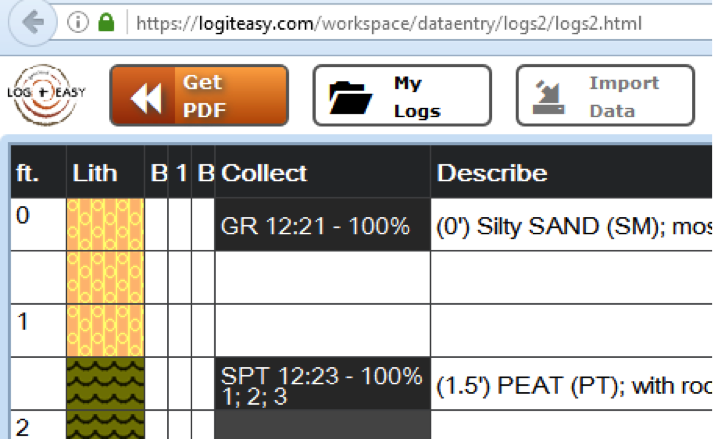 LogitEasy’s Free Logs online service represents a first in the environmental consulting industry to bring a free, fit-for-purpose solution to those consultants that, due to financial or other constraints, traditionally have had to rely on not fit-for-purpose tools to create logs. The cloud-based platform allows the solution to be easily deployed from the single user to the company level, and spares users of the risk, and maintenance and upgrade process and fees, associated with licensed software solutions. 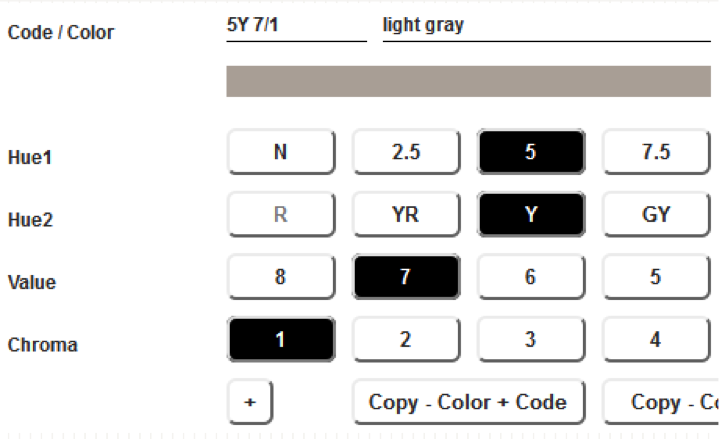 The data entry interface, known as the LogitEasy Field Form, is unique to the industry in that it mimics traditional field forms, thus allowing users to view the log while they are entering data in the field or office. It also contains features designed to facilitate quicker data entry, which is especially important in the field when conducting intrusive soil investigations. We look forward to hearing about your current challenges and aspirations with respect to geological logging and boring log preparation, either in person at the upcoming EnviroTech Summit, or if you can’t make it, then through our website. The environmental consulting industry is entering a time of exciting transformation that will empower you in new ways with respect to the software you use for your work! Get your ticket to this unique event.